Everyone wants to look and feel good. When you have worked hard, you want to show off your gorgeous self. Granted celebrities have it easy. They get to strut the red carpet. Why can't we all walk the red carpet! Wholly Guacamole and Daily's Cocktails gave us the opportunity to walk the red carpet at our own home. Why not make your next get together with friends a red carpet event. Every once and a while, everyone needs a reason to get out and show off your fabulous self. Grab an award winning movie or your favorite chick flick for a friends' night in. You don't have to dress to the nines, but make your night one to remember with good times, great food and a perfect cocktail. With the award season in full force, it might be a perfect time to check out some of your favorite movies. At home with friends, I like to watch movies that are fun, light-hearted and make us laugh. So, instead of the high drama, intense movies that highlight award season, we opted for silly, get up and sing movie, Rock of Ages! Don't get me wrong, there are tons of well written, thought provoking movies out there. But, we wanted a good diversion. Rock of Ages, with its 80s music, is a great at home movie. After all no one can tell you not to sing at the top of your lungs with the characters. When I get together with friends, I like to share a relaxing cocktail to celebrate that we all were able to get together. Recently when I was on vacation, I found a drink that I loved. It had lemonade and raspberry liqueur. I was so happy to find a Dailys cocktail that I was able to use to create the cocktail that is my current must have. 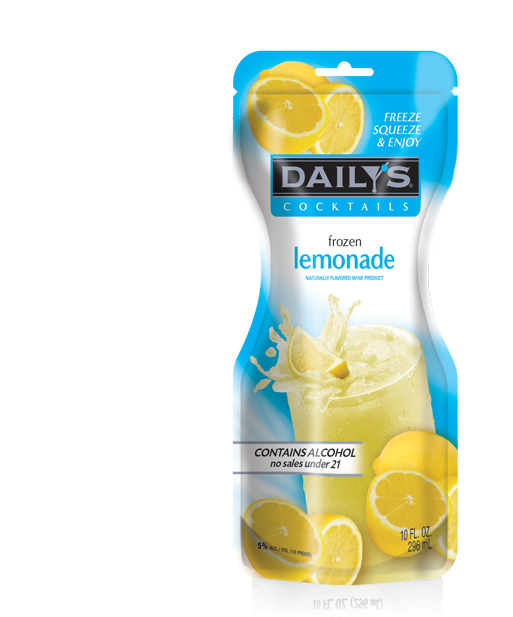 Daily's Cocktails is the original frozen pouches. It is the easiest cocktail for your next get together. After purchasing the cocktail pouch at your local store, put the pouch in the freezer. When you're ready for the cocktail, take the pouch out of the freezer and serve. My red carpet ready cocktail is the Rocking Red Lemonade. To make this drink, simply take the Daily's Lemonade out of the freezer and put it into a glass. Pour some raspberry liqueur (your desired amount) on top of the frozen drink. Add a raspberry garnish if you wish and a straw. This drink has a great combination of tart and sweet. Daily's Cocktails has several flavors. These items include margarita, pomegranate acai margarita, strawberry daiquiri, peach daiquiri, frozen pina colada, light strawberry margarita, light margarita, light pink lemonade, and light mango passion fruit daiquiri. Now everyone can have their favorite frozen beverage and you don't have to keep cleaning the blender. Of course, you can't just serve drinks at your gathering. 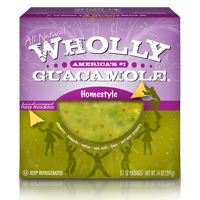 Wholly Guacamole offers a great line of guacamole and salsa. Wholly Guacamole is all natural, made with real Haas avocados and is gluten free. While a bowl of chips and salsa or guacamole can go a long way, sometimes you need to go a little outside of the box. That why we served some Banging Bacon Guac bites. In our house, everything is better with bacon. This simple, easy to make appetizer can make almost anyone say yum. All you need to do is to cook some thick cut bacon. Make sure the bacon is thick cut and cooks flat. After it is cooked, cut the bacon into small bites. After it has cooled, add a doll-up of spicy Wholly Guacamole Spicy or Wholly Guacamole Homestyle on top of the bacon. It is a decadent bite that you won't forget. Personally, I liked an orange chiptole smoked bacon with the homestyle guacamole. It paired well with my Rocking Red Lemonade. Are you ready to have a Red Carpet Ready party this weekend for the Oscars? I have a great Wholly Guacamole and Daily's Cocktail prize package to give to my readers. Please use the Rafflecopter to enter. There will be two (2) winners. Disclosure: I received products to review and to giveaway. All opinions are my own. I love the Strawberry Daiquiri. I would love dailys light pink lemonade! I would love to try the hard cider. I really love both Wholly Guacamole and Daily's Cocktails! What a great giveaways! Yum! What a great giveaway. Thank you. I'd like to try the Wholly salsa. I would love to try the pina colada! I'd love to try the Peach daquiri. I've had wholly guacamole before & it's awesome, but I've never tried wholly salsa, so I would like that! I want to try the Daily's Frozen Peach Daiquiri. I'd like to try the frozen pina colada. I'd like to try the dailys frozen lemonade. I'd like to try the Cosmopolitan Single Serve. I want to try the SPICY! I'd like to try the strawberry daquiri. I'd like to try the Frozen Lemonade. Wholly guacamole homestyle sounds good; might like the spicy but I wonder how much of a kick it has. I would like to try the Homestyle Guacamole and the Strawberry Daiquiri. I would like to try the classic medium salsa. Thank you! The Wholly Guacamole Classic Guacamole Dip would be my item of choice! I think I'll try the Classic first! Then I'll move on to other flavors. The Wholly Avocado Chunky dip looks tasty. I'd like to try the wholly salsa medium dip. I'd like to try the Wholly Salsa Pineapple. I would like to try the Wholly Roasted Tomato Dip.